I had some fun putting together this little gallery of mind-blowing backgrounds created with some of the best animated GIFs I’ve found on the Web. 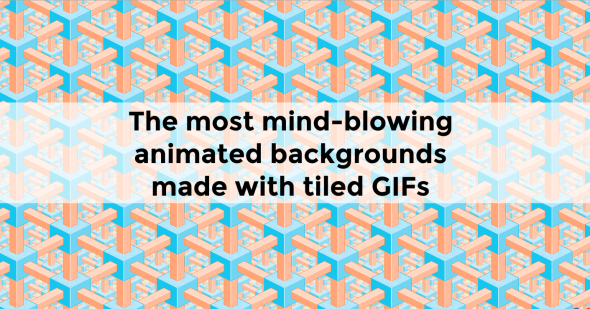 As you may know, after their golden age at the end of the ’90s, animated GIFs are still super-popular thanks to lots of dedicated blogs on Tumblr (of course my favorite one is thecodinglove.com). But you need perfectly cropped and smoothly looped GIFs to create the animations you will see in this gallery: my total respect goes to the GIF-masters that produced such amazing images! I will update the gallery as soon as I will find other remarkable GIFs.